Last night marked a transition in leadership for the Illinois Association of REALTORS® as REALTOR® Mike Onorato, GRI, was installed as the 2010 president of our state association representing 50,000 Illinois REALTORS®. Onorato is a 27-year veteran of the real estate business and is broker-owner of the family business his father started in 1970—Onorato Real Estate in Coal City, Illinois, serving Grundy County and southern Will County. 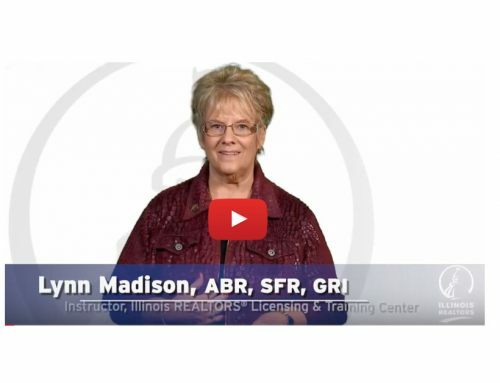 REALTOR® Sheryl Grider, ABR, CRB, e-PRO, GRI, of East Peoria was installed as IAR’s 2010 president-elect. Grider is the development and operations coordinator for Traders Realty in Peoria. REALTOR® Loretta Alonzo, CRB, GRI, of Romeoville, broker-owner of Century 21 Alonzo & Associates in La Grange Park was installed as the 2010 treasurer of the Illinois Association of REALTORS®. Immediate Past President Pat Callan, broker-owner of Realty Executives Premiere in Wheaton, will continue to lend his expertise on the IAR Leadership Team after serving as president in 2009.